Why Choose Affordable Family Care Services in Raleigh NC? Why Affordable Family Care Services? Families hire us to help their loved-ones remain as independent as possible in the comfort and safety of their own home. Our clients hire us because we fully understand their specific needs. We know their care is personal and individual. Our families trust us to assist their aging loved-ones, because we can give them customized care from a local, family owned business. Our main office numbers are answered 24/7 by a member of our office team. So, no matter when you or your loved one have an emergency situation, you can always reach us. 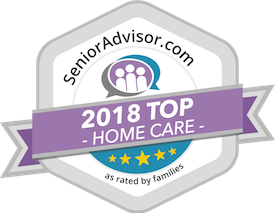 If your caregiver has an emergency, our office team gets right to work on it and we have somebody else ready and available to cover those hours. We look at personalities and physical needs of every individual client and family. Our trained caregivers are compassionate, flexible, and understand that all clients deserve dignity and kindness. Our caregivers are Certified Nursing Assistants (CNA) who are certified by the State of North Carolina requirements. We hire based on a skill set and passion for people, aside from just a “warm body”. We also have several RNs on staff. They are directly involved in overseeing our clients' care, and readily available to our caregivers.